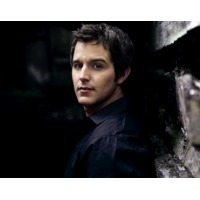 Easton Corbin is an American country music singer. He signed to Mercury Records Nashville in 2009 and released his debut single, "A Little More Country Than That", followed by a self-titled debut album in March 2010. The song reached Number One on the Billboard Hot Country Songs charts in April 2010. His second single, "Roll with It", also hit Number One on the country charts. The album's third single "I Can't Love You Back" released to country radio on November 8, 2010.